DIGJYOTIANs at the 13th Interactive Meet on 27th January 2019 spent the entire forenoon educating themselves with Odisha’s rich heritage of art and craft at Kala Bhumi. The afternoon session went off with intense interaction among themselves, with Trustees, participating educationists & social activists. Responding to a query by the Chairman if the Trust’s Annual Interactive initiative is of any real use, all of them including Mrs. Deepanjali Mishra, educationist pleaded for its continuance for its tremendous benefit to them. The valedictory session started with the Trust’s Chairman, Prof.K.Pradhan welcoming the participants. Recounting the progress of the Trust right from its formative days, he ventilated his concern how to carry on its mission by an Alumni Association which though mooted earlier, has not materialized so far. Silpa Moharana Continue receiving assistance for last six years and this year’s scholarship of Rs.11,000 helps her studying 1st year M.Tech. Prasant Sahoo Continue receiving assistance for last five years and this year’s scholarship of Rs.12,000/- helps him studying final year B.Tech. Pinky Malick Continue receiving assistance for last three years and this year’s scholarship of Rs,.10,000 helps her studying 1st year +3 Commerce Rupen K. Sen Continue receiving assistance for last five years and this year’s scholarship of Rs.12,000/- helps him studying final year B.Tech. Abhisek Mohanty Continue receiving assistance for last four years and this year’s scholarship of Rs.11,000/- helps him studying final year Science Degree. Ananya Sarangi Continue receiving assistance for last four years and this year’s scholarship of Rs.12,000/- helps her studying 2nd year B.Tech. Sumit R. Sahoo Continue receiving assistance for last four years and this year’s scholarship of Rs.12,000/- helps him studying M.Sc. Nihar Ranjan Nayak Continue receiving assistance for last two years and this year’s scholarship of Rs.11,000/- helps him studying final year +2 Science. Debabrata Dash Continue receiving assistance for last four years and this year’s scholarship of Rs.12,000/- helps him studying 1st year M.Sc. Subham Kumar Dhal Continue receiving assistance for last two years and this year’s scholarship of Rs.11,000/- helps him studying 2nd year +3 Science. Ashutosh Sahoo Continue receiving assistance for last two years and this year’s scholarship of Rs.11,000/- helps him studying 2nd year +2 Science Subash Sahoo Awarded scholarship of Rs.10,000/- to help his study in 1st year I.T.I (Civil Draftsman) course. Bhadratanu Sha Continue receiving assistance for last two years and this year’s scholarship of Rs.11,000/- helps him studying 2nd year +2 Science Manas R. Patra Awarded scholarship of Rs.11,000/- to help his study in 1st year +2 Commerce. Bijaya Ku. Sahoo Continue receiving assistance for last two years and this year’s scholarship of Rs.24,000/- helps him studying 2nd year +3 Science Aditya Ranjan Panda Awarded scholarship of Rs.24,000/- to help his study in 1st year +3 Science. 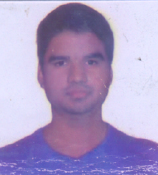 PRASANTA KUMAR MISHRA was given scholarships for his +2, +3 and PG in MSW. He is now given assistance of Rs. 3,000 towards the final exam fees of MSW 2016. 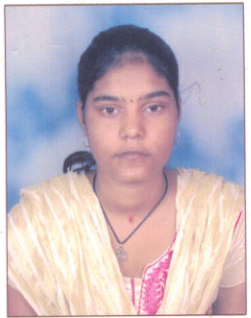 NIRUPAMA NAYAK was given a scholarship of Rs. 10,000 this year to complete her final year +3 Arts at Salipur College. SILPA MAHARANA was given a scholarship of Rs. 10,000 this year to complete her final year +3 Commerce at Choudwar College. 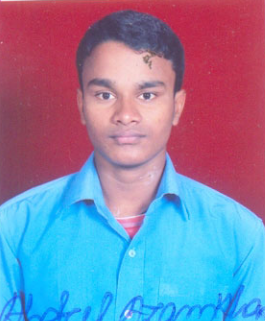 ABHISEK MOHANTY was given a scholarship of Rs. 10,000 this year to complete his second year +3 Science at Ravenshaw College. ALEKH CHANDRA SUR was given a scholarship of Rs. 12,000 to complete his 1st year M.Sc. programme at IIT Madras, Chennai. 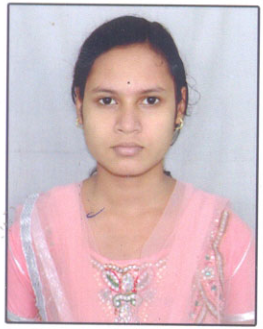 NILAM PRIYADARSHINI PANDA was given a scholarship of Rs. 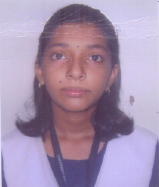 11,000 to complete her 1st year +3 Science programme at Salipur College. 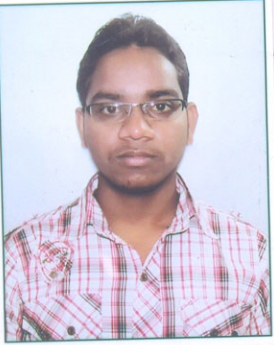 SUMIT RANJAN SAHOO was given a scholarship of Rs. 11,000 to complete his final year +3 Biotechnology programme at BHU. 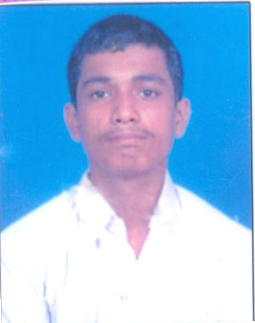 DEBABRATA DASH was given a scholarship of Rs. 11,000 to complete his final year +3 Science programme at Stewart Science College. TAPAN KUMAR DASH was given a scholarship of Rs. 10,000 to complete the 1st year of his D.EL.ED.(C.T.) at DIET Puri. 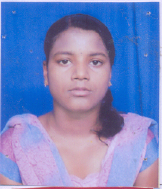 BHAGYA LAXMI NAYAK was given a scholarship of Rs. 10,000 to complete Final year D.EL.ED. (C.T.) at ETEI, Fakhirpur, Keonjhar. PRASANTA SAHOO was given a scholarship of Rs. 12,000 to complete his 2nd year B.Tech programme at N.I.T. Rourkela. RUPEN KUMAR SEN was given a scholarship of Rs. 12,000 to complete his 2nd year B.Tech. programme at GITAM, Bhubaneswar. 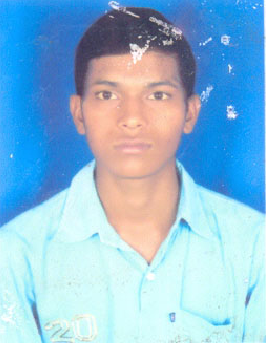 DURGA PRASAD SWAIN was given a scholarship of Rs. 12,000 to complete his 2nd year MBBS programme at SCB Medical College. ANANYA SARANGI was given a scholarship of Rs. 12,000 to complete her 1st year B.Tech. course at Silicon Institute of Technology. SUBHALAGNA MOHANTY was given a scholarship of Rs. 11,000 to complete her +2 Science programme at Salipur Jr. College. PINKY MALIK was given a scholarship of Rs. 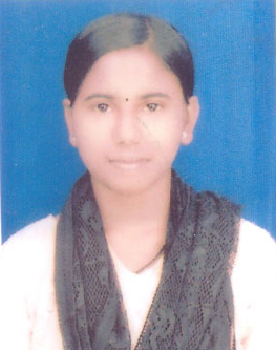 10,000 to complete her +2 Commerce programme at Salipur Jr. College. DUBA MUNA was given a scholarship of Rs. 6,000 to complete his +3 Arts programme at Rajdhani College. 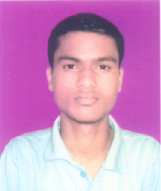 NIHAR RANJAN NAYAK was given a scholarship of Rs. 11,000 to study in 1st year +2 Science course at U.N. College, Soro. SHUBHAM KUMAR DHAL was given a scholarship of Rs. 11,000 to study 1st year +2 Science course at Bhadrak Auto College. 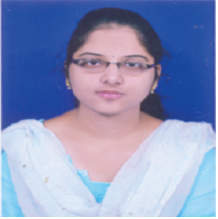 SUPRIYA MISHRA was given a scholarship of Rs. 10,000 to study in 1st year +2 Arts at Rajdhani College, Bhubaneswar. ASHUTOSH SAHOO was given a scholarship of Rs. 11,000 to study in 1st year +2 Sc. at BJB Jr. College. BHADRATANU SHA was given a scholarship of Rs. 11,000 to study in 1st year +2 Science at Bhadrak Jr. College. ABDUL AZAM KHAN was awarded the Nemi Chand Jain scholarship of Rs. 24,000 to complete his +3 Science course at Ravenshaw University. BIJAYA KUMAR SAHOO was awarded the Nemi Chand Jain scholarship of Rs. 24,000 to complete his 1st year +3 Science at Bhadrak Auto College. A meritorious poor & orphan girl has been receiving DIGJYOTI’s assistance since 2012-13, completing her +2 and 1st year of +3 and now studying in 2nd year of +3 Arts at Salipur is awarded Rs.10,000/- this year. A meritorious poor orphan girl has been receiving DIGJYOTI’s assistance since 2012-13, completing her +2 and 1st year of +3 and now studying in 2nd year of +3 Commerce at Choudwar College, is awarded Rs.10,000/- this year. A meritorious poor boy has been receiving DIGJYOTI’s assistance since 2012-13, completing his +2 and 2nd year of +3 and now studying in final year of +3 Commerce at U.N. Auto College, Adaspur is awarded Rs.10,000/- this year. A meritorious poor and orphan boy who has been receiving DIGJYOTI’s Scholarship since 2012-13, completing his +2 Science and now studying 1st year of +3 Science at Ravenshaw College, Cuttack, is awarded Rs.11,000/- this year. A highly meritorious poor and orphan boy who has been receiving DIGJYOTI’s Scholarship since 2013-14 and now studying final year of +3 Science at Ravenshaw College, Cuttack, is awarded Rs.11,000/- this year. 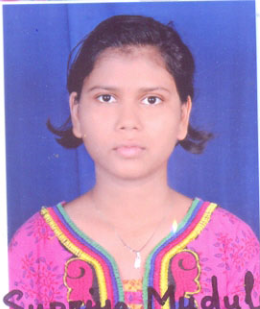 A very meritorious poor orphaned girl, who has been receiving DIGJYOTI’s assistance from 2014-15 and now studying 2nd year Science at Salipur College, is awarded Rs.11,000/- this year. A meritorious poor boy orphaned by death of both parents, is receiving DIGJYOTI’s Scholarship since 2014-15 and now studying 2nd year of +3 Biotechnology course at BHU, is awarded Rs.11,000/- this year. A meritorious poor boy orphan boy, is receiving DIGJYOTI’s Scholarship since 2014-15 and now studying 2nd year of +3 Science course at Stewart Science College, is awarded Rs.11,000/- this year. A meritorious poor boy receiving DIGJYOTI’s Scholarship since 2014-15 and now studying 2nd year of +2 Science course at Ravenshaw Junior Science College, is awarded Rs.11,000/- this year. A meritorious poor girl receiving DIGJYOTI’s Scholarship since 2014-15 and now studying 2nd year of +2 Science course at BJB College, is awarded Rs.11,000/- this year. Mob- 8658501274A meritorious physically disabled boy receiving DIGJYOTI’s Scholarship since 2014-15 and now studying 2nd year of +3 Shastri Course at NNAC, Sanskrit College, Puri, is awarded Rs.10,000/- this year. A very meritorious poor girl receiving DIGJYOTI’s Scholarship since 2010-11 completed +2 Science and DEE Course and now studying 1st year of +3 Science under IGNOU is granted the annual course fee of Rs.3,500/- this year. A very meritorious poor girl receiving DIGJYOTI’s Scholarship since 2009-10 completed +2 Science Course. After studying in 1st year C.T Course at ETEI, Fakirpur. Awarded Rs.10,000/- this year. A highly meritorious poor boy receiving DIGJYOTI’s Scholarship since 2013-14 completed +2 Science and now reading in 1st year B.Tech at NIT Rourkela is awarded Rs.12,000/- this year. A poor & orphan boy receiving DIGJYOTI’s Scholarship since 2013-14 completed +2 Science and now reading in 1st year B.Tech at GITM, BBSR is awarded Rs.12,000/- this year. A meritorious poor boy receiving DIGJYOTI’s Scholarship since 2012-13 and after completing +2 Science is now studing in 1st year MBBS course at SCB Medical College, Cuttack. He is awarded Rs.12,000/- this year. A meritorious poor orphan girl studying 2nd year of +2 Science course at Ravenshaw Junior College, is awarded DIGJYOTI’s Scholarship of Rs.11,000/- this year. A meritorious poor orphan girl studying in 1st year of +2 Science course at Salipur College, is awarded DIGJYOTI’s Scholarship of Rs.11,000/- this year. A very poor orphan & S.C. girl studying in 1st year of +2 Commerce course at Salipur College, is awarded DIGJYOTI’s Scholarship of Rs.10,000/- this year. A physically handicapped boy studying in 1st year +3 Arts course at Rajadhani College BBSR is awarded DIGJYOTI’s Scholarship of Rs.10,000/- this year. An outstandingly meritorious girl who has been receiving NEMI CHAND scholarship since 2013-14 and is now studying graduation in BJB Auto College, BBSR and is awarded Rs.24,000/- this year. A very meritorious poor boy who has been receiving NEMI CHAND scholarship since 2014-15 and is studying in the 2nd year Degree course in Science in Ravenshaw Colllege and is awarded Rs.24,000/- this year.